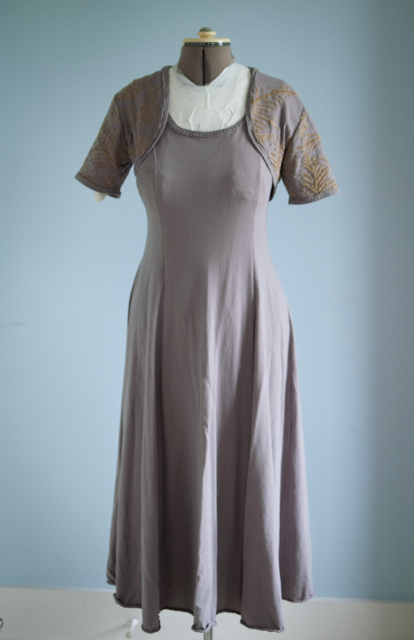 I love my custom version of the Alabama Chanin six-gore dress. Ten inches longer, raised neckline. If I cut this dress out of three yards of fabric, there's enough left over for a matching bolero. This to me is the perfect sleeve solution. I might not want to wear them at home or in the garden, but they can go with me to town, or to sit down to dinner. And they can be fancy. 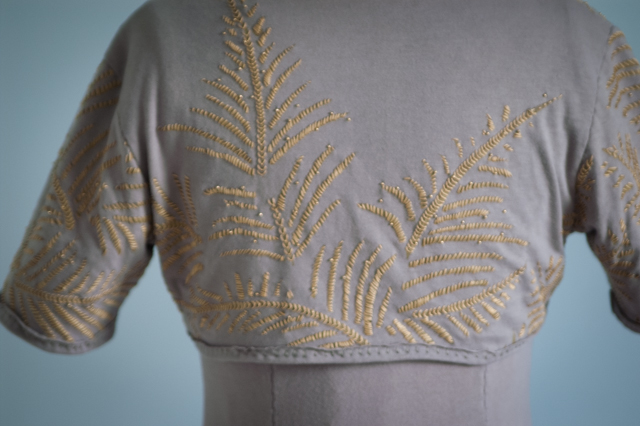 Golden, beaded ferns on the back and on the fronts of this bolero--and lots on the sleeves. 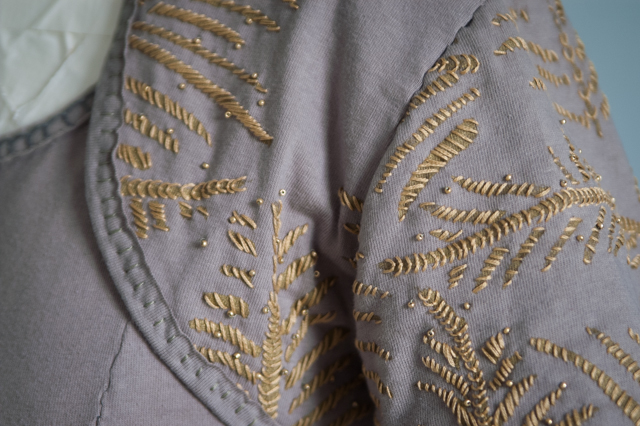 The ferns on the bolero are stunning Anna, you were certainly productive last week at the beach! I love this!! Such a beautiful ensemble! That is a beautiful outfit, you are very talented and I am envious! 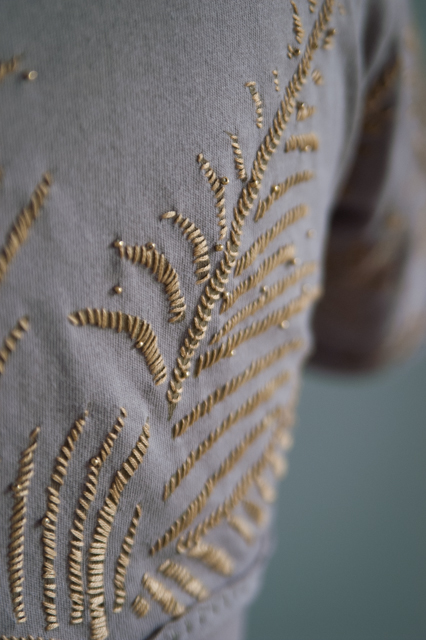 An absolutely gorgeous, gilt ensemble! I love the spray of ferns on the back. What color of jersey did you use, if from AC? You did an absolutely fantastic job! The entire outfit is stunning and so very beautiful. I love the placement of the ferns and how you chose to embellish them. So beautifully conceived and executed; such a graceful ensemble! oh yes, I can see how versatile that would be! I must figure out how to make boleros - either knitting or sewing. Very very pretty! I still say it would be beautiful on a gown! Vija, it is AC jersey in "Dove", a very warm gray. Rose, it's not vacation without handwork! Very well done! I'm attempting the long dress but can't figure out what 2 fabric colors I want. argh!